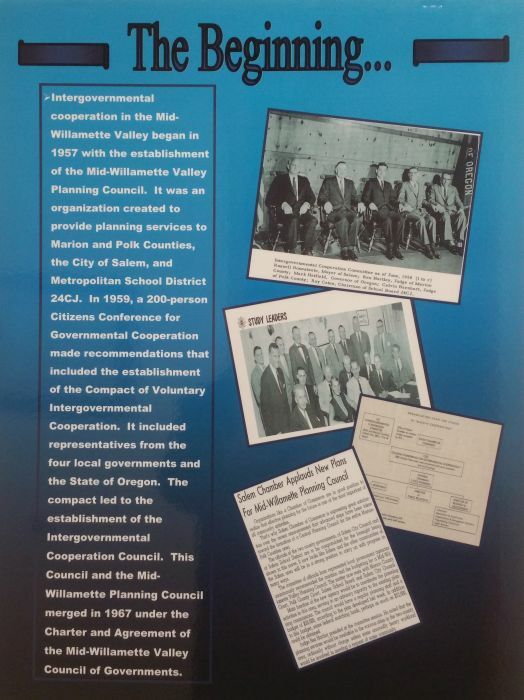 Intergovernmental cooperation in the Mid Valley began in July, 1957, with the establishment of the Mid Willamette Valley Planning Council, an organization created to provide planning services to Marion and Polk Counties, the city of Salem, and the Salem School District. In December, 1959, a Compact of Voluntary Intergovernmental Cooperation was adopted by these same four parties and the State of Oregon. In 1961, “Look” magazine publisher Vernon C. Meyers congratulated the Salem area for an All-America City award. The award was based on the fact that the people brought together five government bodies together in the ICC to solve area-wide problems. 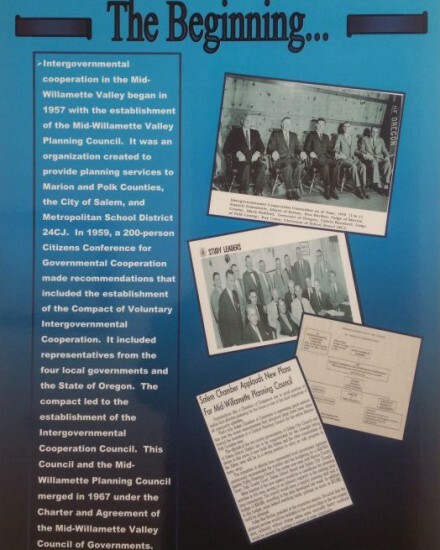 In 1967, the Intergovernmental Cooperation Council and the Mid Willamette Valley Planning Council joined together to become the Mid-Willamette Valley Council of Governments (MWVCOG). 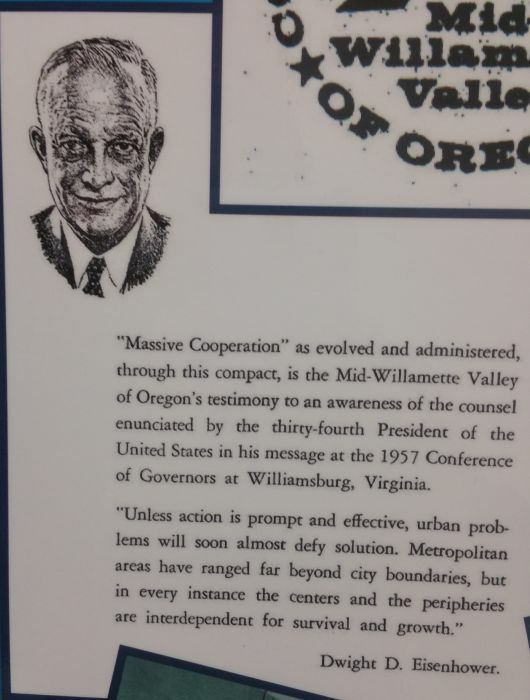 In 1968 Yamhill County joined to make the COG a tri-county organization. The first issue of Cog Notes, the COG’s first newsletter, was published in February 1971. 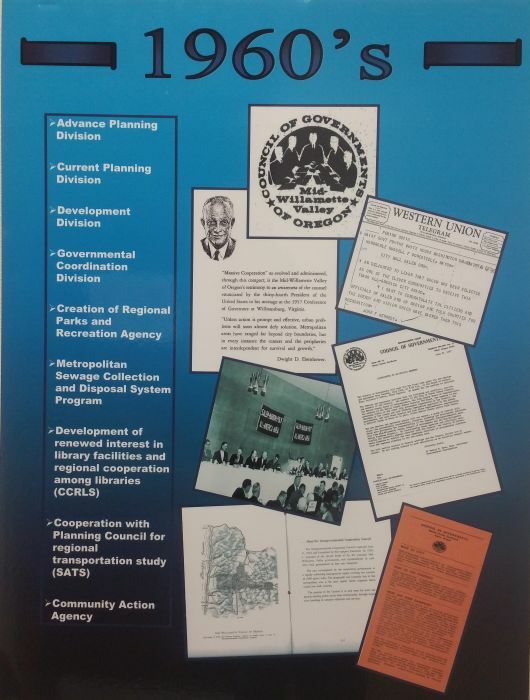 The importance of communication with the public that the COG served was the basis for the creation of the newsletter. Initial distribution included member governments and planning commissions served by the COG, committees served by the COG, and mayors of non-member cities in the tri-county area. Quarterly newsletters are currently distributed to the public and a wide variety of interested parties as well as posted on the MWVCOG website.